Enzyme-linked immunosorbent assay (ELISA) is a common analytical tool for detecting the presence and concentration of a protein or other molecules of interest. Whether your lab works with direct, indirect, sandwich or competitive assays, ELISA protocols involve an exhausting number of dispensing, washing and incubating steps. Automation of ELISA steps relieves the labor burden while increasing throughput and consistency. 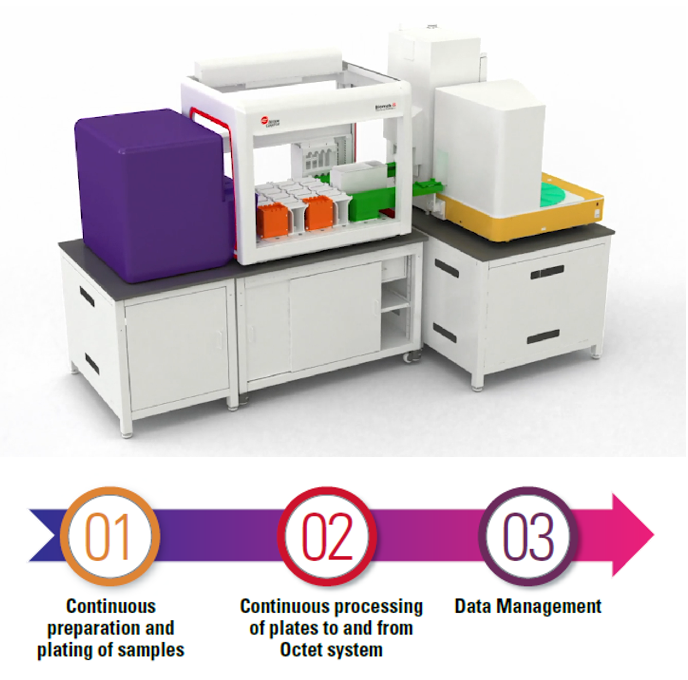 The flexibility and versatility of the Biomek i-Series platform allows the selected workstation of your choice to carry out all of the ELISA tasks, increasing the walk-away time and improving efficiency. The workstation reduces human error with precise dispensing and consistent treatment of each well/plate resulting in increased reproducibility. Our workstations offer high throughput capability supporting a variety of plates and tubes and come in several configurations which can be compatible with a HEPA-filtered enclosure. Special features such as DeckOptix Final Check, available with Biomek Method Launcher, reduce the anxiety of novice users and provide peace of mind for scientists with automation experience. It starts with integrating your label-free ELISA analyzer to increase your throughout while capturing activities and data generated. 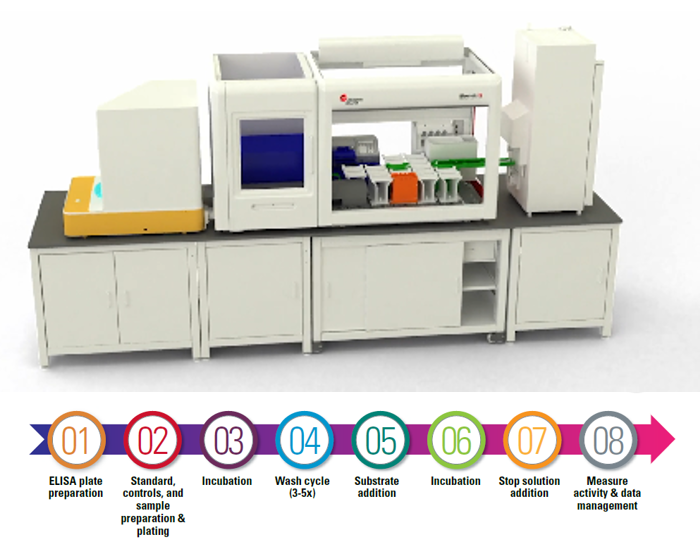 A Workstation that precisely prepares ELISA plates and processes each plate per your protocol, while capturing activities and data generated.